After working for a year on emotion AI, I can confirm that human emotions are complex; we don’t really understand them. And training a computing system to recognize them as a human does is even more difficult. Emotion AI is one of the newer fields under the umbrella of artificial intelligence, so there aren’t many companies doing this type of work. But being a newer field, and the most interesting and important of all, it has many challenges; it all starts with the theory of emotions that underpins an algorithm. The main theory of emotions has to do with ones face. But emotions are not just about the face. There’s a person’s pulse, sweat, and body gestures; it’s a cluster. And many things influence our emotions, context is a big one. 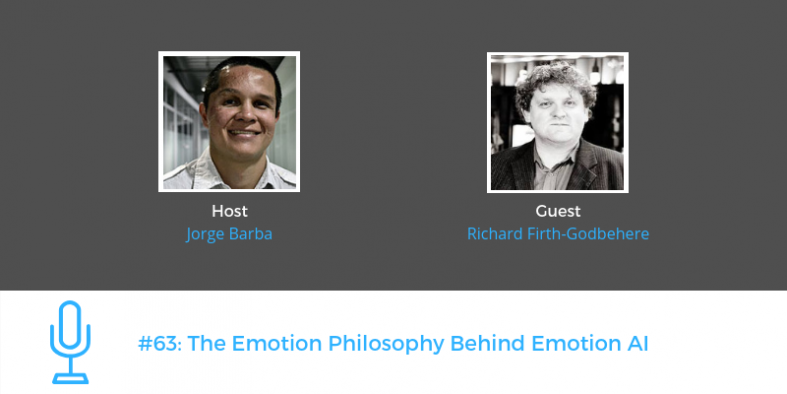 To talk with me about the underlying emotion philosophy and theory being used to attempt to emulate emotion in artificial intelligence is Dr. Richard Firth-Godbehere, an emotions researcher. In September he wrote a widely read and shared article on how emotion recognition technology relies on outdated science as its theory. In the article he makes a strong argument against the current theory behind emotion recognition technology (which says that everyone feels the same 6 emotions); specifically outdated science, and not considering nuance when dealing with emotions. It piqued my interest because at Netek we’re using Dr. Elkman’s 6 basic emotion theory, and so are others, but we’re researching and experimenting with other theories because we also believe the theory is limited. With that said, I invited Rich to discuss this topic on today’s podcast. Tell me about your background, how did you become interested in emotion recognition technology? From your perspective what’s wrong with the current emotion theory being used in the industry? How do you see the adoption of emotion AI play out? How might we overcome bias in the datasets being used to train algorithms to recognize emotions? Can we get to a point where computers truly understand us? Follow Dr. Rich on Twitter and connect with him on LinkedIn. Originally published at Innovation, New Ideas and How The World is Changing.